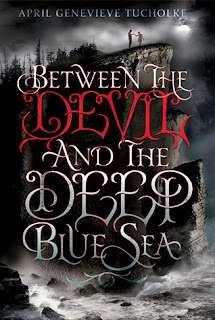 I'm so excited to be hosting the Blog Tour today for April Genevieve Tucholke's gothic romance, BETWEEN THE DEVIL AND THE DEEP BLUE SEA!!! 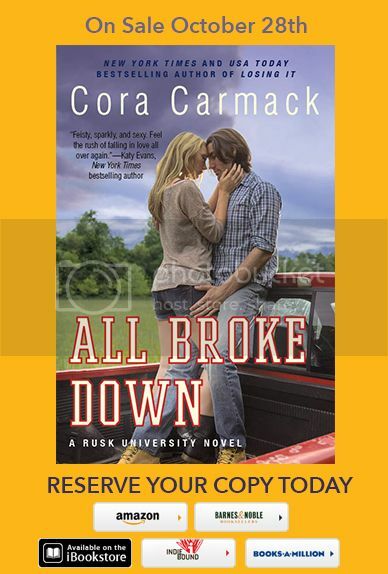 I got a copy of this from PenguinTeen and read it right away, and I have been spreading the word ever since!! 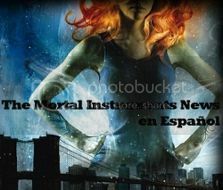 Check out this gorgeous cover, and be sure to read the quick guest post about April's main character below. Then you'll find my glowing review!!! My main character Violet is a lonely, ex-wealthy, small town girl who misses her dead grandmother, Freddie. Violet prays to Freddie instead of God. She lives in a crumbling mansion by the sea and wears Freddie’s old, vintage clothes and tries not to spend too much time wondering where her heedless artist parents got themselves off to. Violet is what I would call a Bookworm Heroine. She’s doesn’t have magical fighting skills or know how to use a sword. 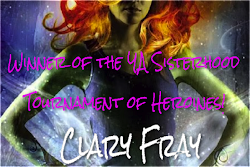 She’s not a secret assassin and she doesn’t have a temper or a cabinet of lethal poisons. She’s not badass. She reads books and thinks a lot and dreams a lot and still manages to save the day, so to speak, in the end. Violet might be based on me. A bit. But then, so is River. And Jack. And Neely. I think I’ve been shades of all these characters, at different points in my life. They all contain a part of me. Nothing much exciting rolls through Violet White's sleepy, seaside town...until River West comes along. River rents the guesthouse behind Violet's crumbling estate, and as eerie, grim things start to happen, Violet begins to wonder about the boy living in her backyard. Is River just a crooked-smiling liar with pretty eyes and a mysterious past? Or could he be something more? Violet's grandmother always warned her about the Devil, but she never said he could be a dark-haired boy who takes naps in the sun, who likes coffee, who kisses you in a cemetery...who makes you want to kiss back. Violet's already so knee-deep in love, she can't see straight. And that's just how River likes it. A gothic thriller romance with shades of Stephen King and F. Scott Fitzgerald, set against a creepy summertime backdrop--a must-read for fans of Beautiful Creatures, The Unbecoming of Mara Dyer, and Anna Dressed in Blood. Have you ever been completely swept away by the magic of a book? I mean, the kind of swept away that leaves you breathless and aching and dying for more? 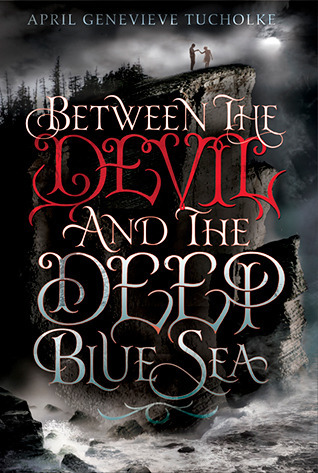 Between the Devil and the Deep Blue Sea was that book for me. Reading it was like hearing a noise in the dead of the night and getting up to check it out. It’s the fear that lingers after looking into the deepest recesses of the dark and finding nothing, but just knowing, something is there. Lurking. Biding its time. April Genevieve Tucholke’s world is both monstrous and beautiful, with whispers in the dark and monsters in the shadows and stolen kisses in the night. I’ve never read anything like it. Her world has unequivocally and irrevocably placed a shadow on mine, and I can only dream about finding myself, once more, caught between her Devil and the raging sea. From page 1, I felt completely and utterly immersed in April’s world, and for the hours it took me to read it, I wanted to be nowhere else. 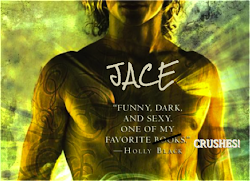 Even after I was done, I wanted to plunge head first back into the tumultuous world of secrets and devils. I could smell the sea salt lingering in the humid air, feel the cool breeze wafting in from the cliffs, and feel the thumping in my heart that accompanies unbridled fear. I loved the picturesque town that April built—it was enchanting and dangerous—like the imaginations of Bram Stoker and Emily Bronte and William Faulkner merged together to create a quietly deceptive town with its own brand of madness. I could picture every part of it, from the decaying mansion on the edge of the sea, down to the crunch of the rocks on the paths into town. Wild and treacherous and full of darkness, the town of Echo is truly a masterpiece of all things that go bump in the night. I absolutely adored Violet, our main character. She was off-kilter and perceptive, and I loved how she could sit outside in the sun and read Hawthorne and quote poems and see right into someone’s soul. I felt her turmoil and her desires, and I loved watching her struggle with her own sense of right and wrong. I loved watching her come to her own conclusions about River, and more than that, I loved how she pushed aside truths for her gut instincts. I felt each emotion as it poured out of her. I loved her strange sense of fashion (wearing her dead grandmother’s younger clothes), and how she didn’t care about what anyone else thought. She was strong and confident, but allowed herself to be scared when she really needed to be scared. 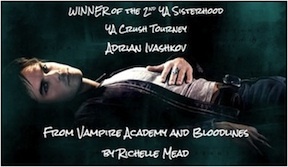 I loved everything about her—she is definitely a heroine that I will long remember. And then there’s River West. His name just rolls of the tongue with spice, but you know he’s one of those spices that will leave your mouth burning for hours. He’s hot and cold, up and down, and the secret that he holds is definitely a doozy. But with a name like River and a smile that could light up the night sky, who cares about deadly and terrifying secrets? I loved River because he is one of those perfect gothic men that walk a fine line between good and evil, but when it comes straight down to it, you just don’t know which side he favors. He reminded me of Heathcliff from Wuthering Heights because he could be the cruelest of cruel with a smile on his face, the Devil in sheep’s clothing. Yet, there is something about him that makes you want to wrap your arms around him and never let him go. He’s the bad guy that you can’t help but fall in love with, he’s the troubled guy that can’t be fixed, he’s the guy your mother warned you about. He’s the Devil that holds your hands and kisses your cheeks and makes you want everything and nothing and then everything again. He’s Trouble, and don’t you just love it? I also loved April’s minor characters—Jack, Sunshine, and Neely. They each had a personality all their own, and they brought life to the story. They all fit perfectly into this gothic tale of love and horror, and none of them will escape unscathed. Watching their horrors and triumphs and losses was heart-breaking and amazing. It’s been a while since a book was able to worm its way into my heart of hearts and put up for a permanent residence, but this book has done it. It’s the perfect mix of horror and romance, and I just couldn’t get enough of River and Violet. April’s writing was gorgeous in every aspect, and she brought the small town of Echo to both life and death. T.S. Eliot wrote, “Between the idea and the reality Between the motion and the act Falls the shadow.” I can’t help but think this describes April’s world perfectly—a place that exists between now and then, between love and hate, between life and death. A place that exists in the shadows, in the dark and with the Devil.